The Vogt (pronounced ‘Vote’) family has been in the fire protection industry for approximately 65 years. We are currently a third generation, family owned company based in Buffalo, New York and servicing the greater Western New York area. We are a full service sprinkler contractor equipped to provide new installations, retrofits, modifications, design, and testing and backflow certification. The company was founded in the early 1940’s by William Valentine Vogt. He had been employed by various local fire protection companies when he decided that he would start his own company. He founded an organization whose core principals where the highest standard of quality, service, integrity and pride. These principals are the cornerstones of a strong family business that has lasted three generations and counting. The William V. Vogt and Sons Automatic Sprinkler Service was founded in 1945. William with the help of his two sons Donald and Henry began a journey to become the most reliable name in the automatic sprinkler business. William led the company through over twenty years of solid performance. Due to health issues in the mid 1970’s, William was forced to retire. Keeping with family tradition, William’s son Henry assumed control of the company. Soon after Henry assumed control, he changed the name of the business to Vogt Sprinkler Service. Henry, known around town as “Hammerin’ Hank,” continued the traditions of excellence set forth by his father William. Henry successfully grew the company and managed it until 2001, when an unfortunate accident forced him to retire. 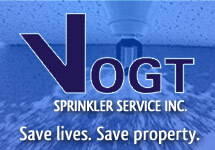 Today the Vogt Sprinkler Service Inc. is managed by Carolyn A. Vogt. Carolyn is Henry’s wife and she is the President of the corporation. Keeping with tradition and a lifetime of experience, Thomas H. Vogt is serving as Vice-President. Thomas is the son of Henry and Carolyn. Through the years the Vogt family has been involved in helping to build our community. Through the actions of their employees and the corporation, they take pride in their continued commitment to Western New York. Over the years Vogt Sprinkler Service Inc., has grown to be one of the premier Fire Suppression Contractors in Western New York. The Vogt Sprinkler Service Inc. still maintains sprinkler systems installed by William and Henry. We have been privileged to grow with our customers and community. 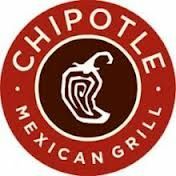 We proudly call many of those customers friends. Contact us today for all your fire protection needs and questions. We offer 24-hour emergency service, seven days a week.